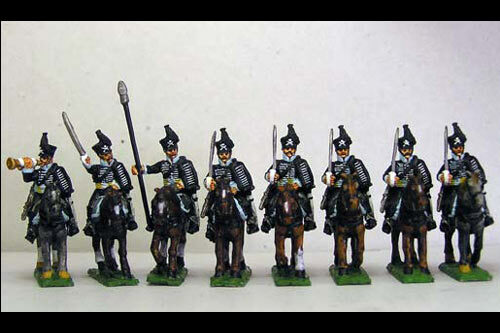 Cavalry There are 4 products. 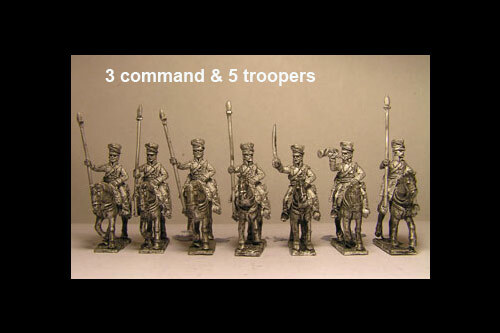 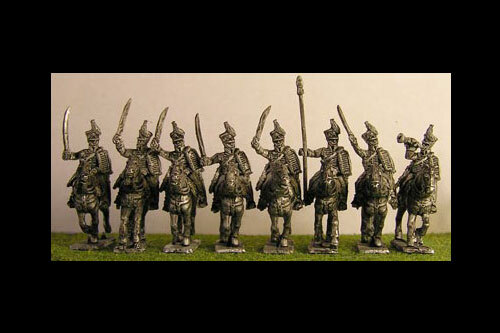 Pack contains: 1 Officer, 1 Trumpeter, 1 Standard Bearer, and 5 troopers + 8 horses If you require a different combination of figures please state your preferences with your order in the e-mail. 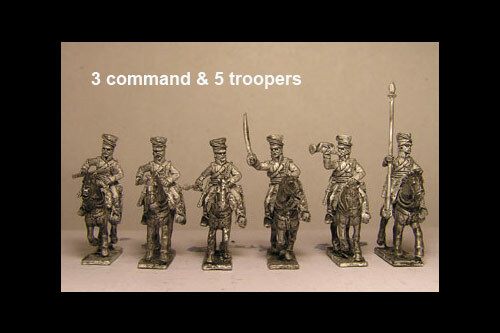 Pack contains: 1 Officer, 1 Trumpeter, 1 Standard Bearer, and 5 troopers + 8 horses If you require a different combination please state your preferences in an e-mail.